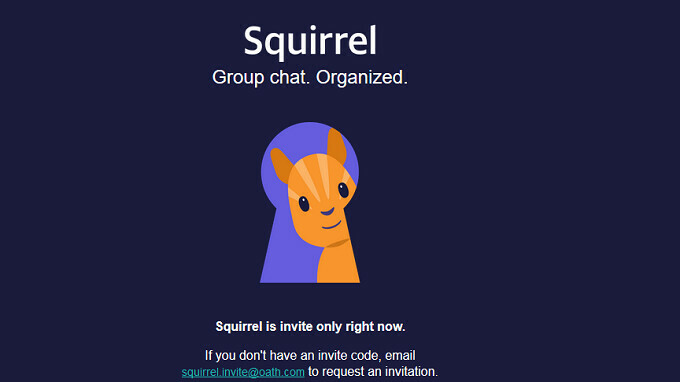 Yahoo's new group chat app is called "Squirrel"
Yahoo threw its new group chat app "Squirrel" into the ring yesterday by listing it in the Google Play Store and the Apple App Store. You can organize different groups to chat with, and create different rooms for various topics. You can even create secret rooms that only certain friends and family members know about. And because you must invite your friends and family members via a link to join your members list, you don't have to share any information with Yahoo about your contacts. The app is also available by invite only. If you don't have an invite code, request one by sending an email to squirrel.invite@oath.com. Or, click on the appropriate link: (iOS|Android).